With the same day Agra tour by train you will reach the Taj city in just two hours. You will be enjoying many tourist sites of Agra by saving travel time. On the tour day, our agency representative will pick you up from hotel and transfer you to Delhi’s railway station. Here you will get on board the superfast Shatabdi train which leaves for Agra. 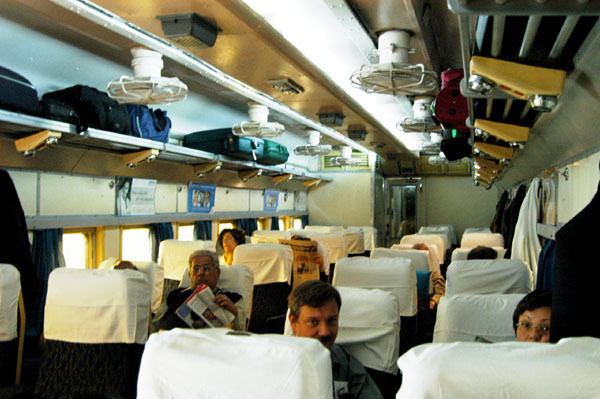 It is a luxurious and air-conditioned train and will take you to Agra in just two hours. Since we will be leaving early in the morning, you will have your breakfast served on the train during mid-way. As you reach Agra city with your same day Agra tour by train you will be greeted by our agency members there and you will also meet your assigned local tour guide there. Taj Mahal is closed on Fridays for sightseeing so planning ahead is crucial if you are on strict time table. You will be provided a well maintained AC car for all your travel needs, and an experienced English speaking driver to take to different sites of the cities. Get ready to be amazed by the astonishing structure and marvelous beauty of Taj Mahal, on your same day Agra tour by train. Your guide will fill you up with many historical and interesting facts about the great Taj. It was built by Shah Jahan in the 17th century, for his beloved queen Mumtaj Mahal, who died giving birth to one of their sons. It took 22 years and thousands of laborers to built this giant beauty of pure white marble with which it shines proudly since its creation. Located on the banks of river Yamuna, it is rumored that the Mughal Emperor Shah Jahan particularly chose this location with its peaceful effect for his ultimate creation. Around mid-day you will be taken back to Agra’s hotel for lunch and some rest, later on carry on with your tour by visiting Agra Fort. It was built by Emperor Akbar, it’s a huge fort built in red sandstone. There are many palaces that you can visit there, such as Jahangir Palace and the Khas Mahal; audience halls, such as the Diwan-i-Khas. Later given some time left visit Fatehpur Sikri, popularly known as Ghost Town, which was built by Emperor Akbar but later left abandoned due to scarcity of water at that place. As the evening approaches you would have completed sightseeing of the major sites on your Same Day Agra Tour By Train, so you are free to do some local shopping for many hand craft items, jewelry embedded with precious and semi-precious stone, which are designed in Mughal style are famous for shopping among tourist. Later on our agency representative will take to Agra’s railway station to have you catch your train to Delhi. As your tour comes to an end you will be dropped off at your preferred New Delhi’s hotel and we will say our goodbyes with happy memories of your tour and you may carry onwards with your journey. It’s a privilege to see the seventh wonder of the world up close, you can take a day time out and explore the beauty of Taj with same day Agra tour by Car. On your booked tour day, you will be picked up from hotel early in the morning by our agency representative. You will be provided a vehicle of your choice for your travel needs. It takes around three and half hours to travel to Agra from Delhi by car. During travel a brief stop will be made at a suitable hotel for some snacks and tea. As you reach Agra around nine to ten in the morning, you will be greeted by our agency representative at Agra, along with your assigned tour guide. You will be provided a well experienced tour guide who will also show you many interesting points of Agra city. All costs like toll tax, fuel cost etc will be inclusive of your tour package. We will help you make the most of your available time and help you create lots of wonderful memories of your trip, you will also be provided with a personal number that you can use in case there is any issue. 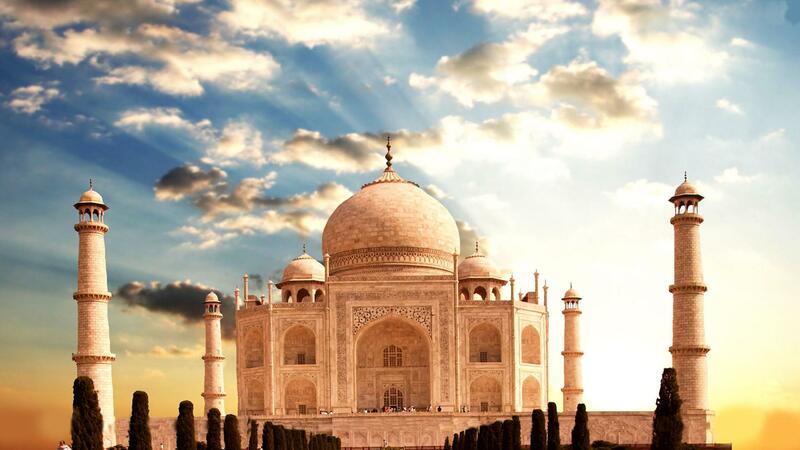 Begin your Taj tour as you arrive in Agra in a comfortable AC car. Your Same Day Agra Tour By Car consists of visiting many great tourist sites such as Taj Mahal – Agra’s pride, Agra Fort and Fatehpur Sikri. Your assigned tour will take you for to Taj Mahal, which shines in astonishing white with its pure white marble. While doing your Taj tour, your guide will fill you with many interesting and historical facts about Taj. Its exterior body is covered with pure white marble and its interior is designed in very attractive Mughal style architecture. Located on the banks on river Yamuna, this spot is rumored to be personally chosen by the Emperor Shan Jahan by its charming and peaceful effect. It is the seventh wonder of the world, and a UNESCO world heritage property. It signifies a symbol of never-ending love and attracts tourist all over the world for its beauty and amazing history behind its creation. Later on head back to Agra’s hotel for a mouth watering lunch and some rest, followed by visit to Agra Fort. It was built by Emperor Akbar in marvelous red sandstone. Also visit Fatehpur Sikri, the famous Ghost town. As the evening approaches on your same day Agra tour by car, you are free to explore local markets for many hand craft items, and jewelry made with precious and semi-precious stone with Mughal style designing, which is famous among local as well as foreign tourist. As your tour comes to an end you will be transferred back to Delhi, you will reach back city in the late evening, by then you would have made the most of your time with our expert guidance. Upon reaching the city you will be dropped off at your preferred New Delhi’s hotel or airport based on your preference. We say our goodbyes with lots of unforgettable memories of many of great sites of Agra. With four days Golden Triangle Tour, you will be able to explore the rich heritages sites of India of cities f like Delhi, Agra and Jaipur. Your tour will start from Delhi following your other tour destination. As you confirm your booking and your arrival day in India, our agency will have everything ready for your journey from hotel booking to car booking, you do not have to worry about anything and cost of all these services will be includes your tour package. On your arrival day in Delhi, our agency representative will meet you at Delhi’s airport and then take you to a suitable hotel for night rest. Early in the morning you will meet your assigned your guide, who will be accompanying you throughout your well planned your circuit. Your Delhi’s your will consist of visiting of some of it well known tourist sites that includes visit to Lal Qila – The Red Fort, India Gate, Raj Ghat Ghat- The famous memorial site of Mahatma Gandhi and Qutub Minar – largest stone tower in India. Later in the evening you will proceed for your next tour destination the famous city of Taj. Agra is located at a distance of 130 km from Delhi, you will get there in three and half hour by car. We will make sure that tours are provided a well maintained AC car for your travel during your tour. After you reach Agra on the second day of you here day Golden triangle tour you will enjoy Agra’ traditional dinner at a hotel and also night stay will be at that hotel. On the next day, be ready to be amazed by the sheer beauty expressed the dazzling pure white marble of Taj Mahal,, as you begin sightseeing of one of seventh wonder of the world. It is also a UNESCO world heritage property.. It was built by Shah Jahan in memory ho his beloved queen Mumtaj Mahal, who shortly died after fiving birth to one of their son. Since then it has touched of all those who visit it, and signifies a symbol of everlasting love. It is located on the banks of river Yamuna, it is believed that Shah Jahan personally chose this spot for his ultimate creation due to its peaceful effect and beautiful view. Afterwards In the evening head for your next tourist destination Jaipur – the famous Pink City. Jaipur is a city of Raj puts, and host many forts and palaces for you to see. On the third day of your 4 Days Golden Triangle Tour you will be doing sightseeing of many of its forts and palaces. Start with Amber Fort, which is perhaps the most well preserved Forts in Jaipur and shows a perfect blend of Rajasthani and Mughal architecture, you will be able to enjoy riding on the back of Elephant here. Other tourist site that you will be visiting for the next day includes Hawa Mahal – the palace of winds, Jantar Mantar and more. As your tour ends at Jaipur you will be taken back to Delhi airport where you can catch your scheduled flight and we say our goodbyes with many happy memories that you will be taking of your tour. Have an amazing experience of India rich heritages with Delhi, Agra, Jaipur and Udaipur tour. You will be exploring many of great tourist sites of Delhi – India capitol, Agra – The city of Taj, and Jaipur with Udaipur – The city of Palaces and Forts. As you arrive at Delhi’s airport, our agency representative will greet you and take you at a suitable hotel for night stay. Early in the morning have a health breakfast followed by meeting with tour guide for a short description of your Delhi, Agra, Jaipur and Udaipur tour itinerary. Visit Old Delhi and New Delhi many tourist sites, start with visit Lal Qila – The Red Fort, built by the great Mughal Emperor Akbar, in the 17th century. Later visit Raj Ghat – the famous memorial site of Mahatma Gandhi, Qutub Minar – One of oldest and largest standing stone tower in India. 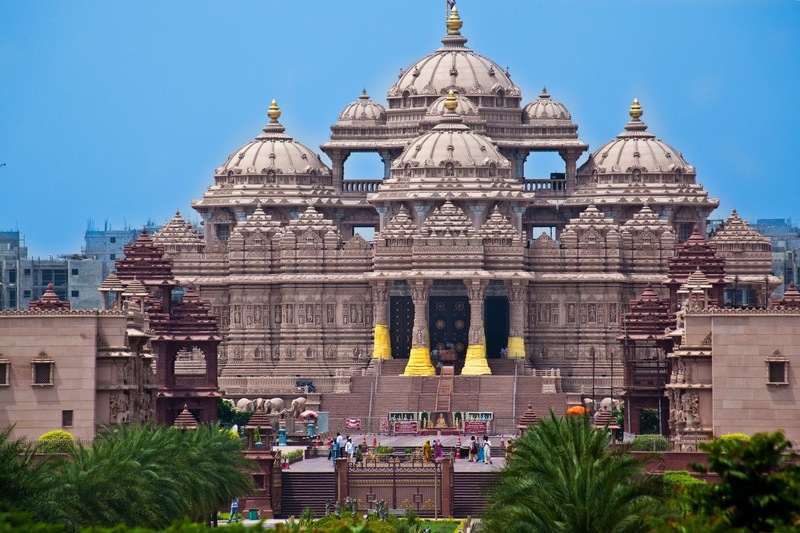 Also visit may of Delhi delights that include The Lotus Temple, Akshardham, India Gate. Continue your tour of Delhi on second day and visit The Parliament House and many more tourist sites. Later in the evening indulge yourself into some shopping at Delhi largest market Connaught Place, afterwards get ready to visit your next tourist destination Agra – the well known city of Taj, which is located at a distance of 230 km from Delhi, and takes around three and half hours to reach there by car. After your arrival in Agra on the third day of your Delhi Agra Jaipur Udaipur Tour you will be transferred to a suitable hotel for night’s stay. On next day morning you will meet your assigned tour guide of Agra city, who will take you to sightseeing of Taj Mahal. As you begin sightseeing your of Agra’s pride Taj Mahal, you will be filled in by amazing historical facts of Taj Mahal. It was created in the 17th century by Shah Jahan in memory of his beloved queen, who died giving birth to one of their son. Its exteriors body is covered with pure white marble with which its shines in dazzling white beauty during day, and glows like a pearl under moon light. On next day continue your tour of Agra with Agar fort. In the evening travel to Jaipur, your last destination. Jaipur is famously known as Pink City, for its pinkish color effect as seen from above sue to its many forts and palaces, it is the last destination of your Delhi, Agra, Jaipur and Udaipur tour.. You will get to enjoy a traditional Rajasthan diner as you arrive from Agra. You will do sightseeing seeing of many of its great sites that includes Amber Fort- also enjoy Elephant ride here, Jantar Mantar – a famous astronomical building used by Indians in medieval period for calculating the posting of stars, Hawa Mahal – The Palace Of Winds, also visit Fate0rhpur Sikri located at a distance of 50km from Jaipur. Head for Jaipur to see City Palace and Jagdish Temple then later return to Jaipur for some cultural dancing and singing function. As your tour ends at Jaipur city , you will be taken back to Delhi, by then you would have made many beautiful memoires of your dash tour. You will be dropped off at Delhi airport to catch your scheduled flight or a hotel of your choice whichever you prefer. It’s a great privilege to be able to see so many of rich and cultural Indian heritages on a single tour, Golden triangle tour with Varanasi will take you to the most popular tourist sites in India. After your arrival in Delhi, you will be greeted by our agency representative at the airport who will then take you to your booked hotel in a nice AC vehicle. Next day morning your assigned tour guide will meet and give you a short description of your Golden triangle your with Varanasi, which will consist of dash days. Shortly after that you will begin sightseeing of many of great tourist sites of Old Delhi and New Delhi. You will be visiting Red Fort – Lal Qila, which is made by the great Mughal Emperor Akbar in the 17th century. There are so many tourist sites in Delhi and visiting all of them in a single day is impossible, we make sure that you make the best of your available time by going to the most popular tourist sites of city, like Qutub Minar, Raj Ghat, Lotus Temple and India Gate. On the second day evening you will head out for your next tourist destination Agra – the famous city of Taj. It’s a three and half hour ride from Delhi to Agra, so you will be taken straight to a Agra hotel for rest and night’s stay. Early in the morning one of best local tour guide will approach you and take you on a trip to the great Taj Mahal. As you begin your Taj Mahal tour on the third day of your Golden triangle tour with Varanasi, you will be amazed by the sheer beauty of Taj and the amazing history behind its creation. It is a UNESCO world heritage property and also the seventh wonder of the world. It shines with dazzling white color during day and glows like a pearl under moon light. The best time to visit Taj is in the morning when it gives a pinkish effect. Continue with your tour of Agra on next day and visit Agra Fort. 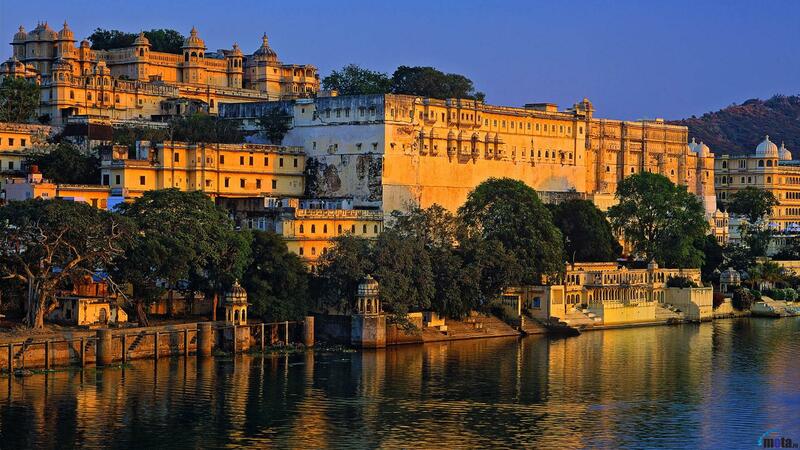 In the evening depart for Jaipur – the city popular for its well preserved forts and palaces. 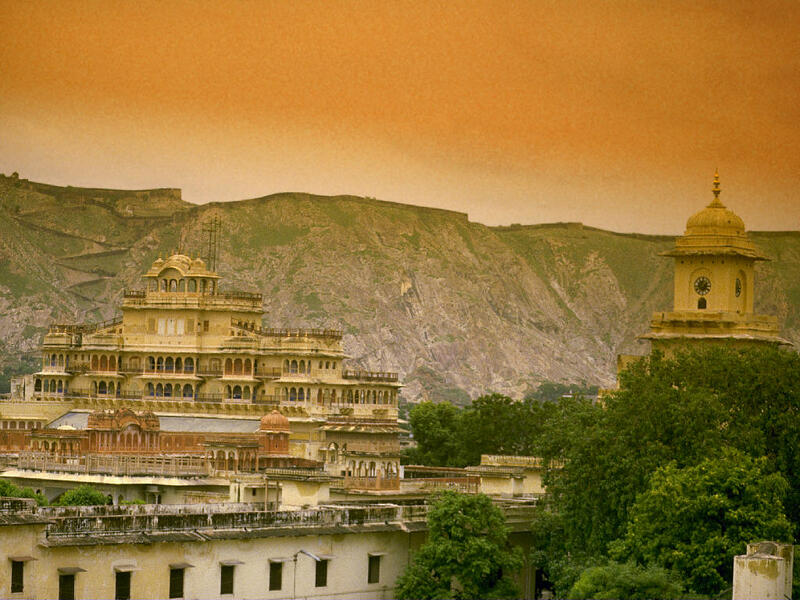 Jaipur is famously known as ‘Pink City’ and host many great forts and palaces for you to see. As you reach Jaipur on the fifth day of your Golden Triangle Tour With Varanasi, you will have yourself some traditional cultural dance and food in the evening. Visit Amber Fort, famous for its Mughal architecture and Elephant ride you get to enjoy there. Also visit Jantar Mantar- the famous astronomical building, City Palace, Hawa Mahal – The Palace of Winds and Fatehpur Sikri. Throughout your visit at different cities you will be provided a four star hotel for your stay and a nice comfortable ride for all your travel needs. The last tour destination is Varanasi, a holy city where you get to visit many of its bathing ghats, which are located near Ganga river. 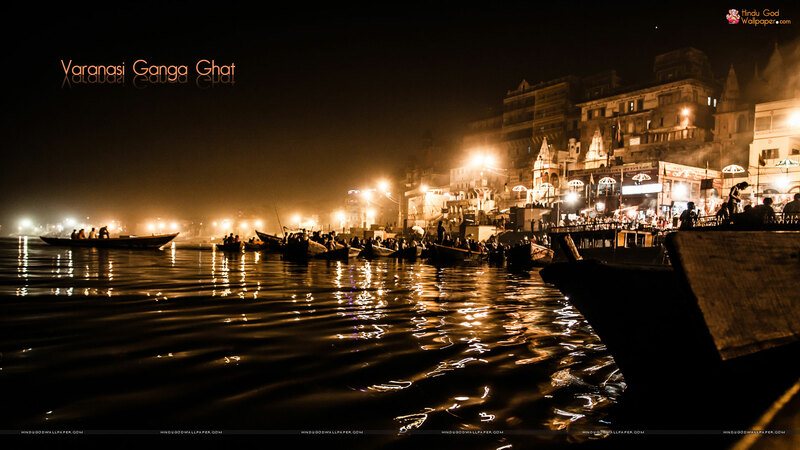 Enjoy riding on the boat to a pilgrimage tour of Ganga river and many of its holy sites. After covering all the major tourist sites of each of the city your tour will come to an end and you will be safely transferred back to Delhi to carry onwards with your journey with so many unforgettable memories of your Golden tour. India’s most famous Golden Triangle tour can be completed in 5 days during which you will be traveling to different cities like Delhi – India’s Capitol, Agra – Well Known Taj city and Jaipur – the city of palaces and forts, also popularly known as ‘Pink City’. As you arrive in India at Delhi’s airport you will be greeted by our agency representative, who will after a short welcome take you to your booked hotel for night stay. Early in the morning of your first day of your 5 day Delhi, Agra and Jaipur tour you will meet your assigned tour guide and after a short description of your day wise literary you will begin sightseeing of many of Old Delhi and New Delhi sites. There are many sites for you to explore like The Red Fort – Lal Qila, it was built by the famous Mughal Emperor Akbar in complete red sandstone and now stands among modern Delhi attracting tourist for its red glory and beautifully designed with Mughal architecture. You will be exploring many of other tourist site in Delhi, like Qutub Minar – It is the largest stone tower standing in whole India, Lotus Temple, Raj Ghat, Akshardham etc. Later in evening as you complete your Delhi’s tour, you will depart for your next destination Agra – the famous city of Taj Mahal. As you arrive in Agra going onwards with your 5 days Delhi, Agra and Jaipur tour you will be taken straight to a suitable hotel for dinner and night rest. On next day morning you will be visiting Agra’s pride Taj Mahal, which shines dazzling White throughout the day. There are many historical facts that you will be hearing from your guide that will attract you to Taj more. It was built by the famous Mughal Emperor Shah Jahan in memory of his loving queen, who shortly died upon giving birth to their fourteenth son. It exterior body was built using only pure white marble, it is located on the banks on river Yamuna. It is said that Shah Jahan favored this location for constructing Taj, due to its peaceful and soothing effect. Continue your tour of Agra on next day visiting Agra Fort followed by trip to Jaipur as your tour last destination. As you arrive Jaipur late in the evening, head for one finest hotel for a traditional Rajasthani dinner and night stay. On the fourth day of your 5 Days Delhi Agra Jaipur Tour you will be exploring many of palaces and forts for which Jaipur is known among tourists all over the world. Start your tour of Jaipur with a visit to Amber Fort, here enjoy Elephant riding as you move towards Amber Fort, it is one of the most well preserved fort in India. Here you will find many Mughal style constructed buildings that include many meeting halls and palaces, temples, gardens and pavilions. Also visit Jantar Mantar – the famous astronomical building, which was used during medieval Indian period. Other sites to visit in Jaipur are Hawa Mahal – Palace Of Winds, Fatehpur Sikri etc. As your Golden Triangle tour comes to an end, you will be taken back to Delhi, by then you would have made so many unforgettable memories of many of rich India heritages. You will be dropped off at Delhi’s airport or your preferred hotel and we will say our goodbyes.